The exquisite attention to detail, the fit, shape and comfort of PrimaDonna is second to none. This luxurious lingerie not only looks great, but supports and shapes up to a EU J cup, including plus sizes, and is quality that can be worn each and every day. Soft, yet strong elastics and fabrics lift the bust, while a special foam covers the underwires to add to the comfort of your bra. Bestselling collection Deauville, is a favourite of women around the world. 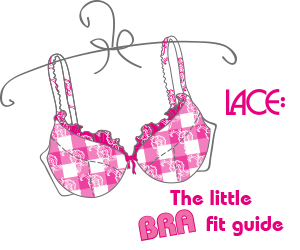 Available all-year round in basic colours, and a fashion colour each season, this full cup bra with a side shaping panel has a projected shape, rounding the bust making you look slimmer. Madison offers similar shaping and styling with a side panel, but with a soft stretch lace neck edge. Seamless moulded collections like Satin, Divine, and the padded Perle will give you a smooth, round shape underneath close-fitting tops, while fashion styles like Delight and Iris have seamed cups and heavier embroidery details. White, soft ivory and flesh colours are ideal for bridal lingerie, and styles suitable for underneath wedding and special occasion dresses include a variety of strapless bras, bodies, and shapewear. PrimaDonna doesn't disappoint with indulgent designs with lightweight lace; or sheer tulle cups heavily embellished with colourful embroidery like the Kensington, By Night Stardust, Neroli or Oriental Night collections which often feature sparkly gold or silver threads or Swarovski crystal details. For feminine, trendy lingerie with the same great fit and quality, see PrimaDonna Twist and Marie Jo, and for sophisticated swimwear, see PrimaDonna Swim.